Artist's sketch around 1834. 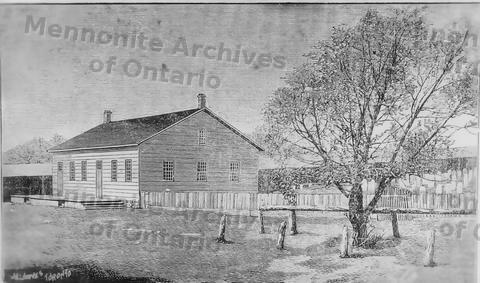 Later called Christian Eby Meetinghouse. (L.J.Burkholder collection). Benjamin Eby Frame Meetinghouse. See 1987-1.1 for larger copies.